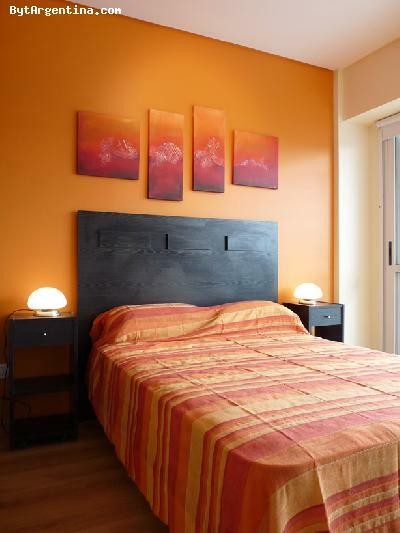 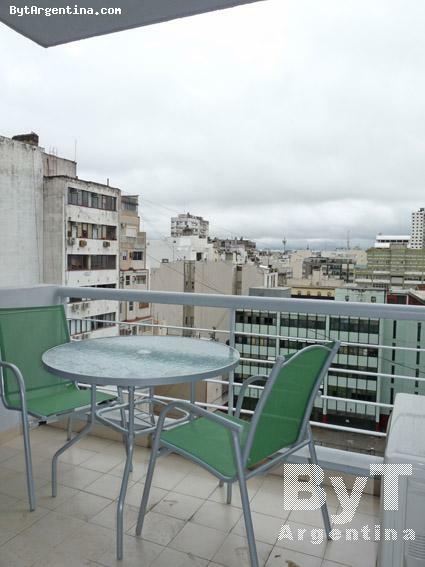 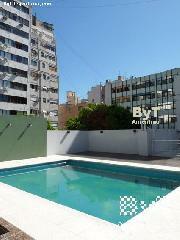 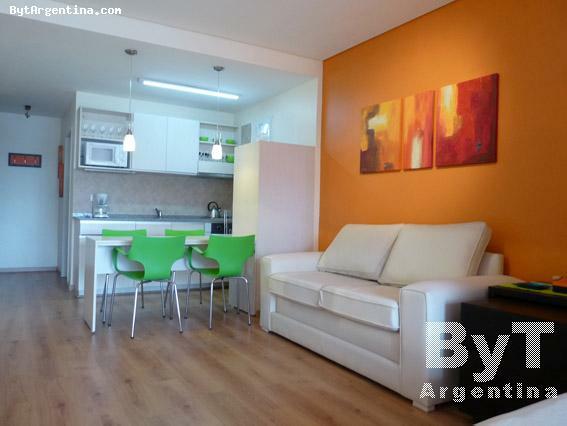 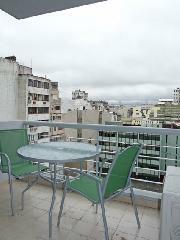 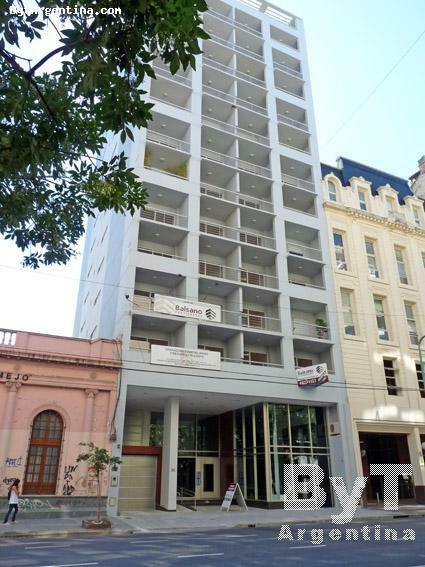 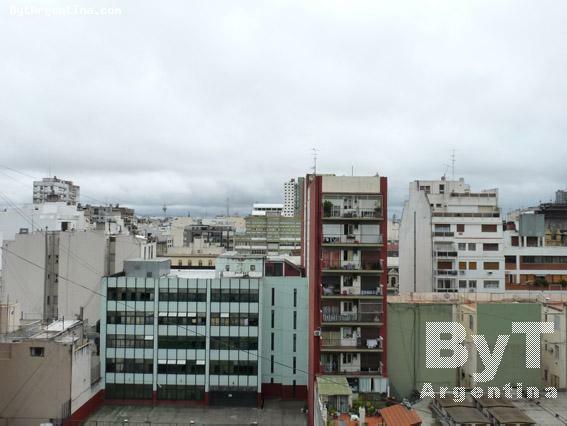 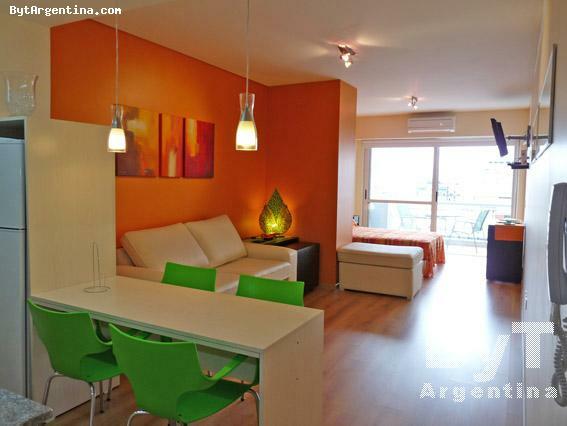 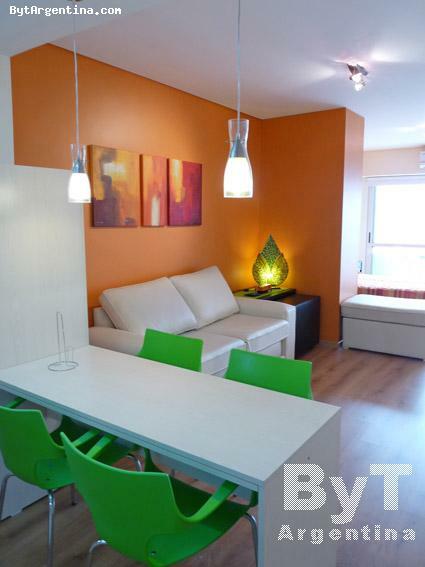 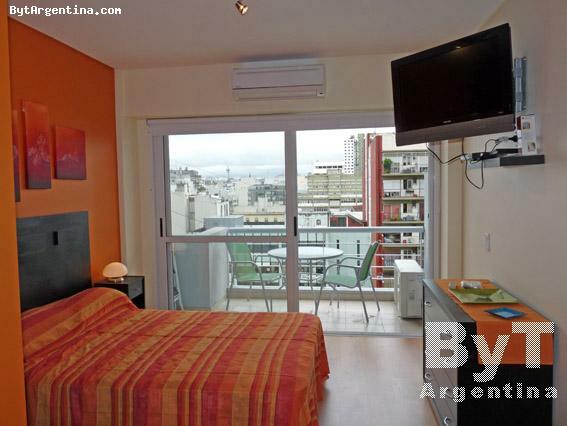 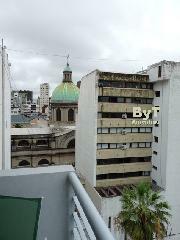 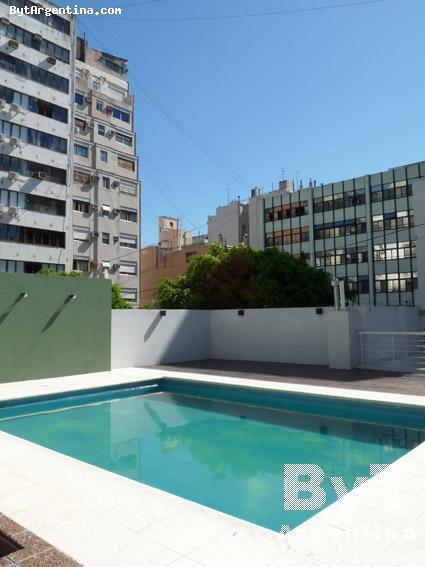 This very nice apartment is centrally located, just one block and a half from the Cordoba Avenue and the subway stop, and four blocks from the Santa Fe Avenue, traditional street where visitors will find elegant shopping areas, cinemas, restaurants and coffee shops. 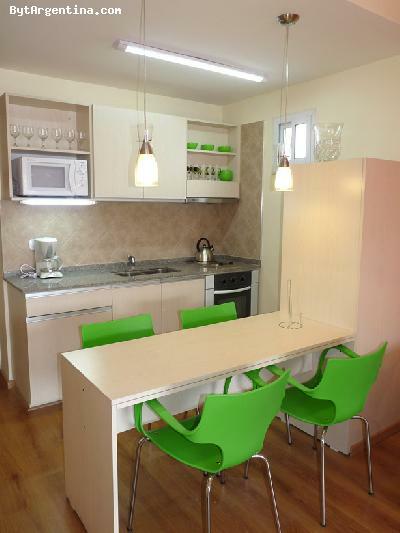 The flat offers a living-dining area with a sofa-bed and a table for four people, a bedroom area with a double bed, an equipped american kitchen, one full bathroom and a lovely balcony facing the backyard. 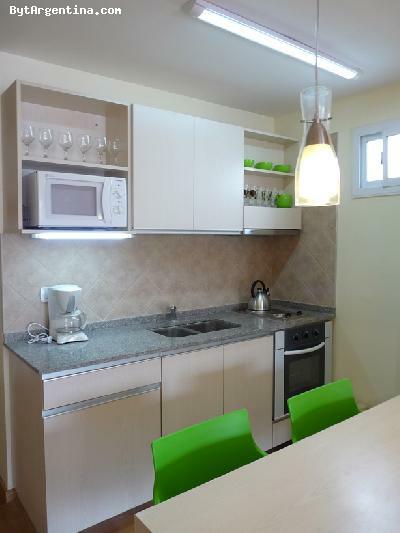 The apartment is equipped with WiFi Internet access, cable TV, DVD, air conditioning, fridge with freezer, microwave, dishes, kitchenware, linens and towels. 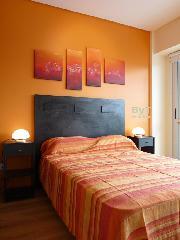 Cell phone is provided that works with pre-paid calling cards. 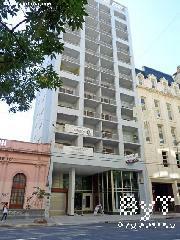 The building has 24 hours doorman, a swimming pool (available only in summer season) and laundry. 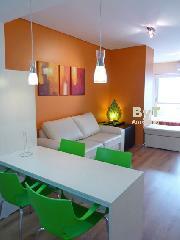 A great option, very bright and comfortable in a brand-new building. 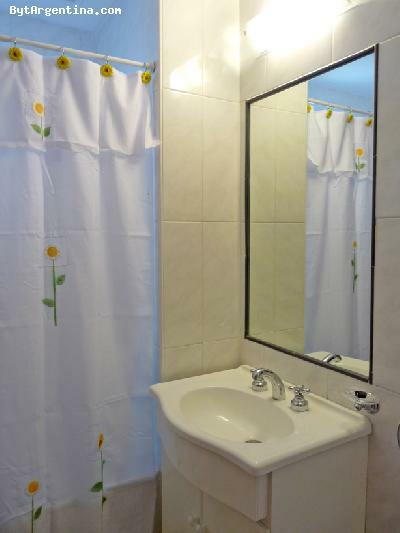 Note: maid service every two weeks .